A natural amphitheatre, where the central figure is the land. Thinking of Franciacorta immediately brings to mind gentle hills, rows of wines criss-crossing them, the orchards that border them, the lake. Few know the origins of this rustic landscape, the processes that made this territory a land created for wine: The land is very permeable because it is rich in sand and lime but poor in clay, where stones of different kinds, shapes and colours are found, from huge boulders to little cobbles and gravel, carried by an ancient glacier; the vine, in this morainic soil filled with materials and minerals, found a perfect home to develop and express the best of its characteristics and aromas. The climate also plays an important role: the proximity of Lake Iseo gives Franciacorta a mild climate both at night and during the day, both in winter and summer; in this season, what’s more, the great mass of humidity, due to the presence of the lake and the peat-bogs, creates the perfect conditions for the vegetative phase of the vine from April and October. It is this ideal combination of climate and terrain that gives the grapes those distinctive characteristics of quality for which our land has always been appreciated, in the past and in our own day: the vines, therefore, are the constant factor in an uninterrupted tradition that has always marked the history of Franciacorta. 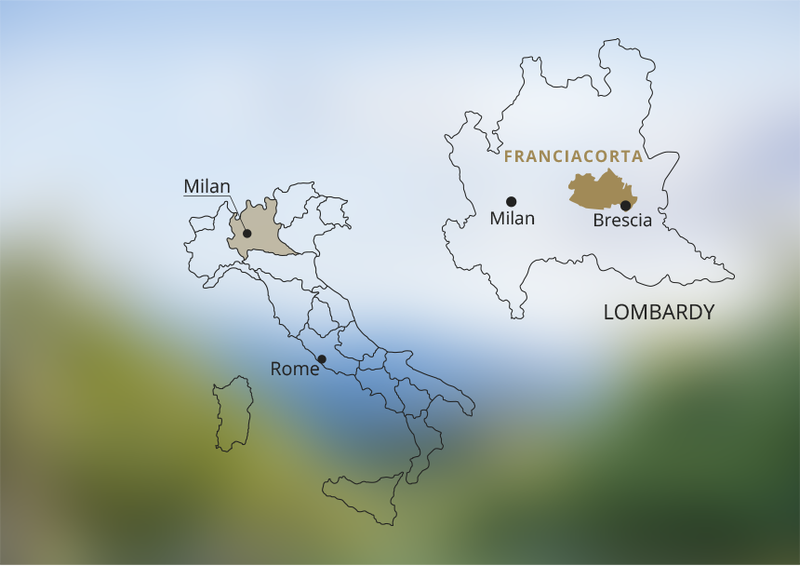 And, in our vineyards, we see a bright future ahead: there are twelve in the province of Brescia for a total of more than 50 cultivated hectares.